Officials of the Tri-Track Open Modified Series (TTOMS) have announced a bounty on Matt Hirschman of Northampton, PA, in the upcoming Haunted Hundred at Seekonk Speedway on Saturday, October 28. Hirschman is undefeated in TTOMS competition thus far in 2017; scoring victories in the lucrative Open Wheel Wednesday and SBM IV events at Seekonk and Star Speedways respectively as well as the most recent event at Star. Any competitor who dethrones Hirschman will receive a $1,500 bonus (should Hirschman also be on the lead lap). If Hirschman out-duels the competition yet again, he will take home the $1,500 bonus. There are plenty of contenders who can earn themselves the $1,500 bounty. The likes of newly crowned champions Anthony Nocella, the 2017 Modified Racing Series (MRS) Champion, and Jon McKennedy, 2017 International Supermodified Series (ISMA) Champion, top the list of red-hot competitors. Ryan Preece, Rowan Pennink, Woody Pitkat, Ron Silk and Tommy Barrett have to be among the favorite drivers having filed early entries for the Haunted Hundred. After securing the pole at the Modified Tour event during World Series Weekend at Thompson, Chase Dowling will undoubtedly take a shot at Hirschman for the victory and the bounty. Fresh off his win in the MRS finale at Lee USA Speedway, Russ Hersey will be looking to put his prowess at the Cement Palace to the test. Hersey is a former Pro Stock winner of the prestigious D. Anthony Venditti Memorial. You can never count out the likes of the hometown heroes Vinnie Annarummo and Ryan Vanesse. Dark horses to score the bounty include Chris Pasteryak, Derek Ramstrom, Jon Kievman and Richard Savary. A total of 34 teams have filed entries thus far for the Haunted Hundred. Pit gates will open at 8am on Saturday, October 28. Grandstands will open at 11am with racing starting at 1pm. Pit admission is $35. Adult general admission is $25 and children 12 and under are admitted free. Also on the racing card is a 50-lap main event for Late Models and a 30 lapper for the INEX Legends. Building on a Seekonk Speedway Halloween tradition, prizes will be awarded for the best costumes. Children and adults alike are invited to participate in the costume contest. The rain date for the Haunted Hundred is Sunday, October 29. Tickets are available online by visiting SeekonkSpeedway.com or by calling the Speedway office at 508.336.9959 Monday through Friday from 9:00am to 5:00pm. 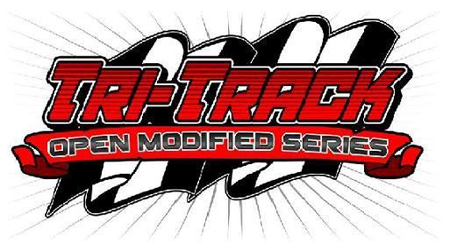 To learn more about the Tri-Track Modified Series, visit tritrackmods.com.